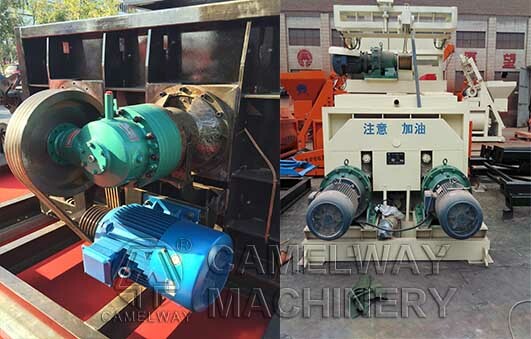 Zhengzhou CamelWay Machinery is a professional concrete mixer manufacturer and supplier specializing in construction machinery for several years. The company has produced various concrete mixing equipment which is highly praised by foreign customers. Then, the company will introduce the reducer of concrete mixer to you. Between cycloid type reducer and big shaft with large transmission, which is through the gear transmission. The reducer has the advantage of more powerful when the concrete mixer stirring the hard material. But it is easy to damage the gear, reducer and electrical machine in this situation. The planetary reducer with the belt transmission, it won’t breakdown the other equipment of the mixer when the mixer stirs the hard material. Zhengzhou CamelWay Machinery manufacture also provide screw conveyor, concrete mixer truck, concrete block making machine, concrete mixing plant and cement silo, etc. If you are interested in the concrete mixing equipment or buy it, please feel free to contact us. We will give you a reply in 24 hours.